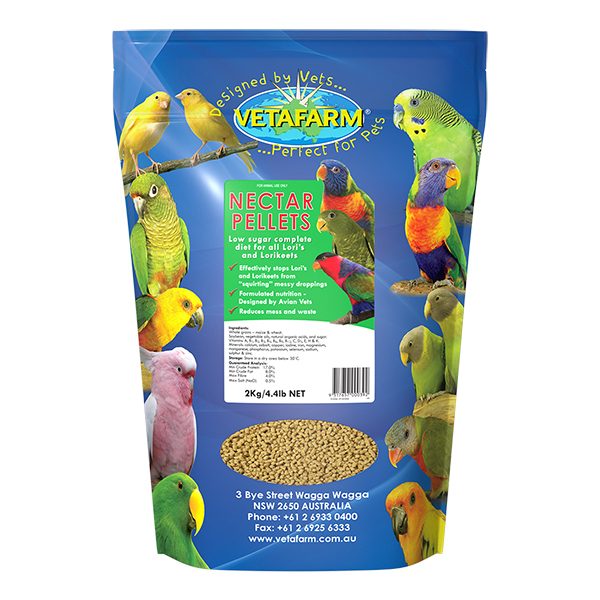 Balanced food ideal for pet and breeding birds. Fortified with vitamins, minerals and calcium for egg formation, strong development of young and general ongoing health. 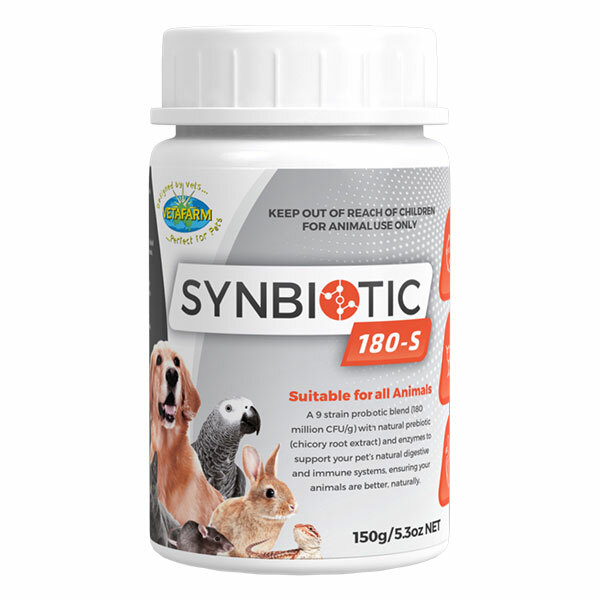 Improved new formula with blueberry extract. 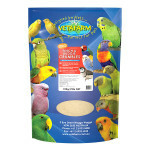 Can be used as a part diet for omnivorous or insectivorous birds. 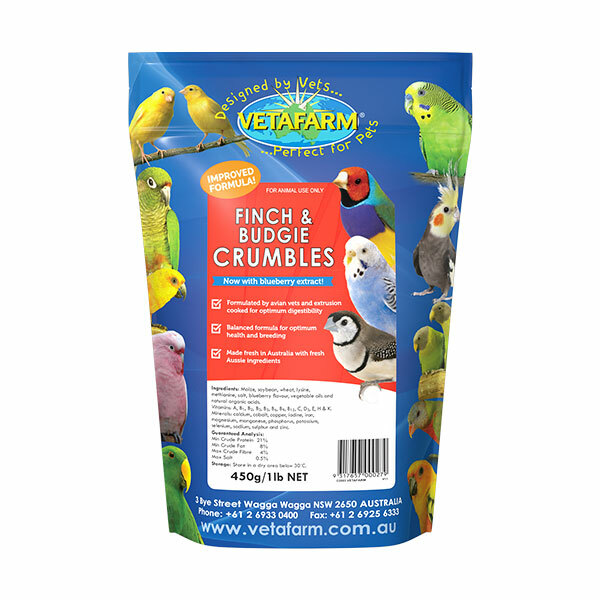 Finch and Budgie Crumbles are a complete diet, no additional dietary supplementation is necessary. 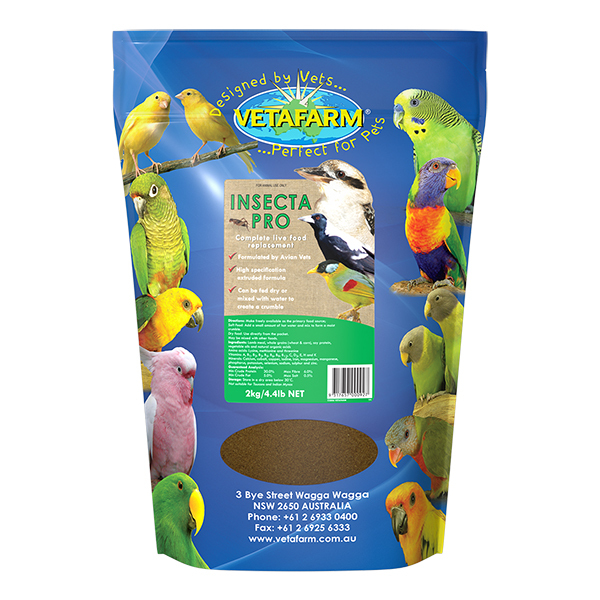 Vegetables or treats may be given as behavioural enrichment.Can be mixed with Insecta-Pro for omnivorous or insectivorous birds. Make freely available as the primary food source. 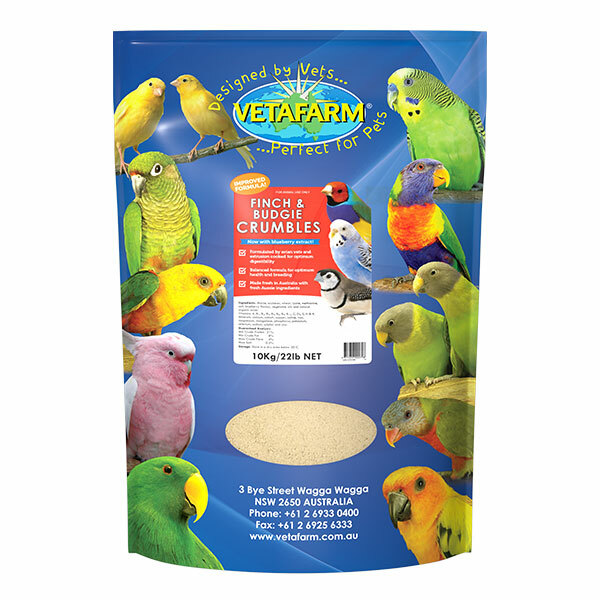 Vetafarm pellets and crumbles are designed to provide complete nutrition when fed at a rate of 80% or more of the total diet. Fresh water must be available at all times. When eating crumbles, droppings will change colour from black to brown/tan and water consumption will increase. 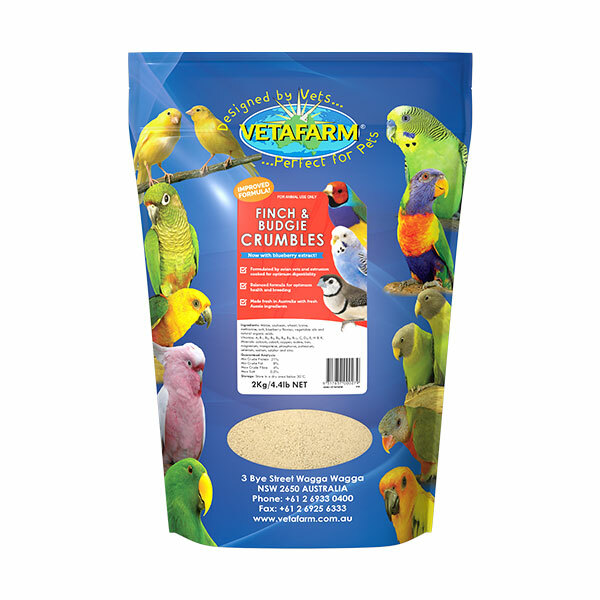 Maize, soybean, wheat, lysine, methionine, salt, vegetable oils and natural organic acids, Vitamins: A, B1, B2, B3, B5, B6, B9, B12, C, D3, E, H & K. Minerals: calcium, cobalt, copper, iodine, iron, magnesium, manganese, phosphorus, potassium, selenium, sodium, sulphur and zinc.